Why is it the right time to Invest in Real Estate? This is Canada this is January 15th and the Bank of Canada just dropped their bank rates by 0.25% and its now sitting at .75%. What that means is that banks themselves could follow suit and adjust their own lending rates some are saying they are not going to do anything. Regardless, you have interest of less than 1%. Right now if you have good credit and you want to get a mortgage you can get mortgages in the range of 2.5% its ridiculous how low interest rates are right now. So one of the reasons now is a good time to Invest in Real Estate is because the interest is at all-time low and you want to take advantage of that. Because interest rates are at an all-time low, when you are collecting rent, and paying expenses your mortgage is that much less than when you were getting at 3%. So if you’re collecting the same rent the difference in the two is phenomenal. The second reason is because house prices are at an all-time low as well. The reason that houses are low is because people can’t qualify for mortgages as easily. I know that sounds strange because the interest rates are much lower but there is still a qualifying rate. So what the banks, the governments and CHMC is trying to do is trying to protect people from fluctuation in the rates. So what they do is they make sure that people qualify at a much higher rate than what the actual rates are in the possibility of interest rates going up again. The last time I looked the qualifying rate was 4.99%. When in fact if they did get qualified the interest rate on the loan would only be in the neighborhood of 2.5 to 3%. So there is quite a difference there it’s almost 80%. It makes it much harder for people to qualify and they are looking for a lot more things to qualify. You need stated income qualifications, 2 years of proof of income, need 5% down, CHMC also requires that 5% and you need to show where that deposit is coming from so there are a bunch of variables that are required for you to qualify to get a mortgage. Now the good side on that if you are an Investor, and you have some good capital and some good credit you could get qualified. The third reason now is a good time to invest in Real Estate is because the rents are higher or you can put the rents higher. The reason being because there is not as many people qualifying for a mortgage it is a renters market. So because people can’t qualify they have to rent, when they have to rent you have the rental property available for them. So what that means is when people are out there shopping for rentals they are looking at different properties, looking at the rents and trying to find the right property. Now because there are so many people out there looking for rentals you can actually raise the rents to a much higher level. Now in some places there are some limitations of how much and how often you can raise the rent but within reason you should be able to raise rents higher when the market is such that they do not qualify and need to rent. Supply and demand. You have properties that people need to rent well if there aren’t as many properties because there are more people renting, well you can just increase the rent. So those are the three reasons why want to invest in real estate now, which is January 2015, because the interest rates are so low, the house prices are so low or lower than normal and because it’s a renters market and you can charge a much higher price. 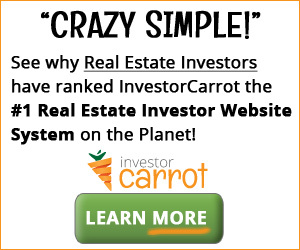 Jim Pellerin is a real estate investor, author and coach. He has over 25 years of real estate investment experience and has conducted over $30M worth of Real Estate transactions. He is the author of 7 Steps to Real Estate Riches.